It’s old school with a twist. 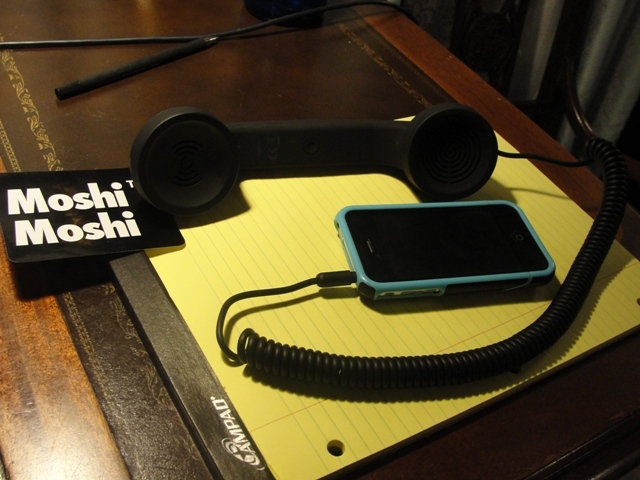 And I’m talking a real phone cord with a real twist. My lovely sister got this for me for my birthday! My daughter showed it to us this summer and said she wanted one but she didn’t get it, I DID! 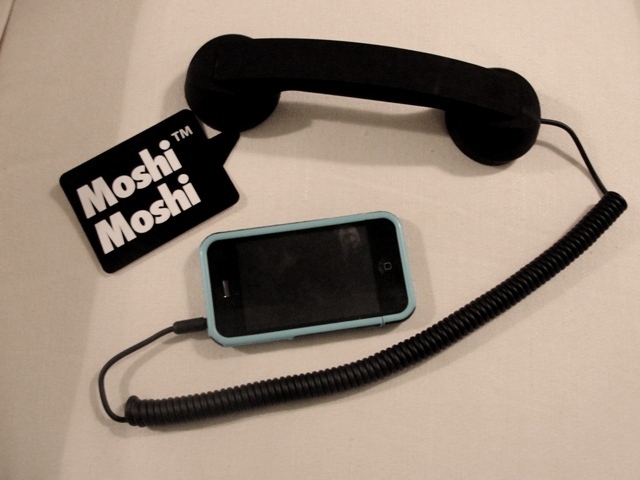 It is made by Native Union and it is called a Pop Phone ‘Retro’ handset by Moshi. You can get it on Amazon for about $30.00. Cool is cool and this is very, very cool, and my sister knows how cool I am and so this is just perfect for me. Thanks sis! I have been checking the mailbox everyday and today I ran out to the mailbox in the pouring rain and there it was. I plugged it in right away and starting dialing. The sound is crystal clear and I feel so hip and yet nostalgic at the same time. What a conundrum! When I showed it to Jill she screamed, “Hey that was my idea”. Ha – gotcha. She is getting one for her birthday and then she will be cool -just like her old mom. Copy catter! For those of us who grew up with a “real” phone – this feels like coming home.